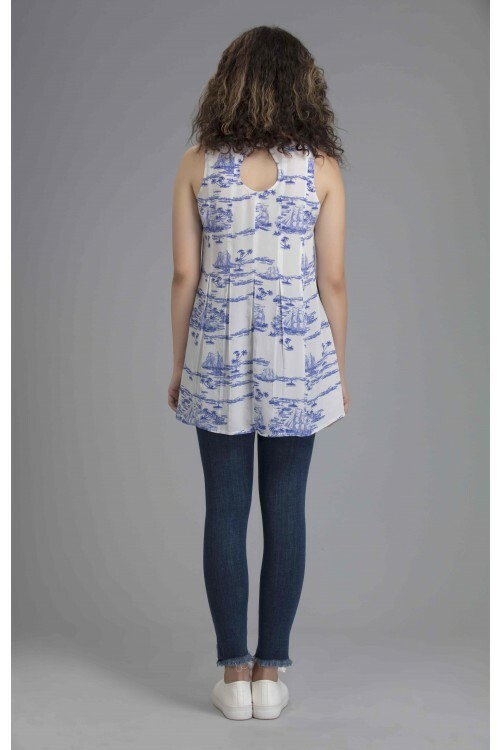 The Lara Tank Top in our signature Benares toile print sports a keyhole at the back. Pleats at the back add flair and a formal look. While it looks delightful when tucked in, the top is long enough to be let down as well. 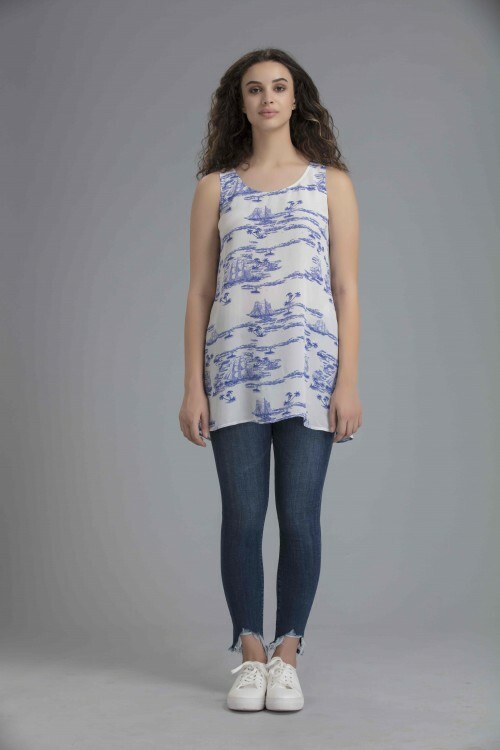 Pair it up with jeans or a skirt to create a boho chic look.